The Heart Centre, or Anahata Chakra, is the main portal through which we relate to and accept ourselves and the world. It is also considered the main knot in our energetic bodies. - Volunteer! Karma Yoga or helping others, feels good for everyone and breaks down perceived barriers between "us" and "them". - Sing! Bhakti Yoga, chanting, singing, dancing, ceremony, arts, crafts and cultivating an connection with the Divine are wonderful ways to release and express pent-up emotions. - Practice Yoga! Hatha Yoga moves prana or energy, and shifts feelings of stagnation or contraction. Energetic vinyasas like Surya Namaskar are great for strengthening the physical heart, and backward bends like Bhujangasana (Cobra), Dhanurasana (Bow), and Chakrasana (Wheel) are considered excellent "heart openers". - Breathe! Connecting with your breath is calming for the mind and the nervous system. - Study the lives of those who live love! Read the poems of Mirabai, Rumi, and Hafez. Celebrate the lives of Jesus, St. Francis of Assissi, Mother Teresa, Mata Amritanandamayi, The 14th Dalai Lama and so many others who live loving-kindness or make a habit of doing small things with great love. - Stop and smell the roses! 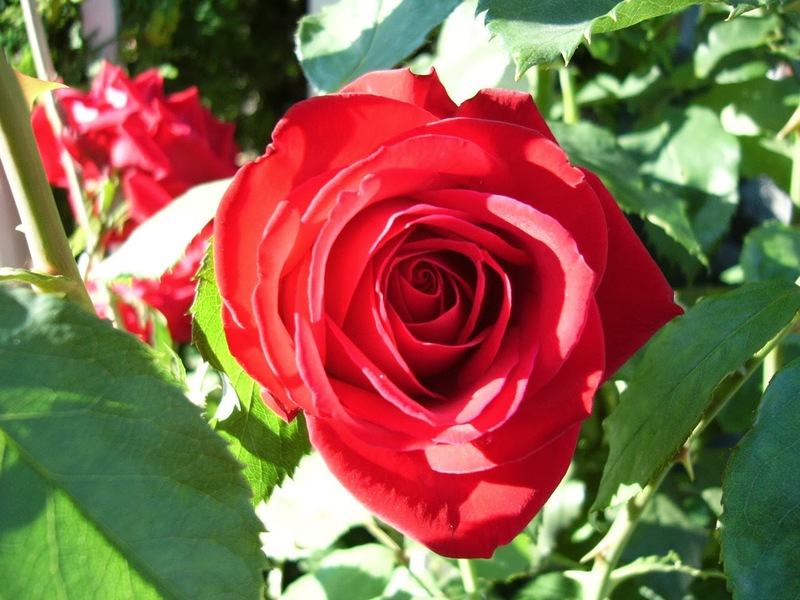 Roses have an exceptionally high vibrational frequency. Even if you don't have a bottle of precious rose essential oil at home, you can visit your favorite Middle-Eastern grocer and buy some rose water to use instead of commercial facial toner, spread rose jam on your toast, and infuse dried rose petals in your tea. Or take a trip to your local florist or greenhouse and bury your nose in the most fragrant blossom you can find! For more inspiration about the Anahata Chakra and more suggestions for exploring your heart, check out this lovely post on the Free People blog. Reiki for Pets and People Coming to Alberta! We're baaaack... at Yoga for Today!